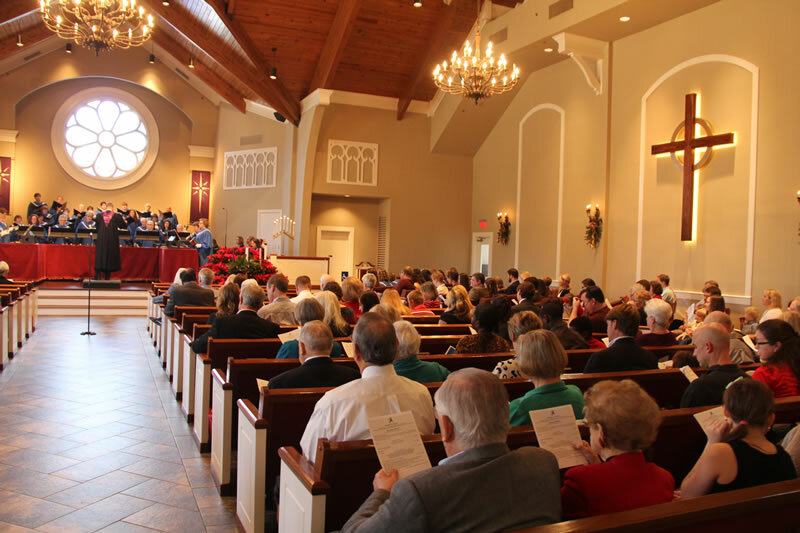 Alpharetta Presbyterian Church welcomes all to our worship services! 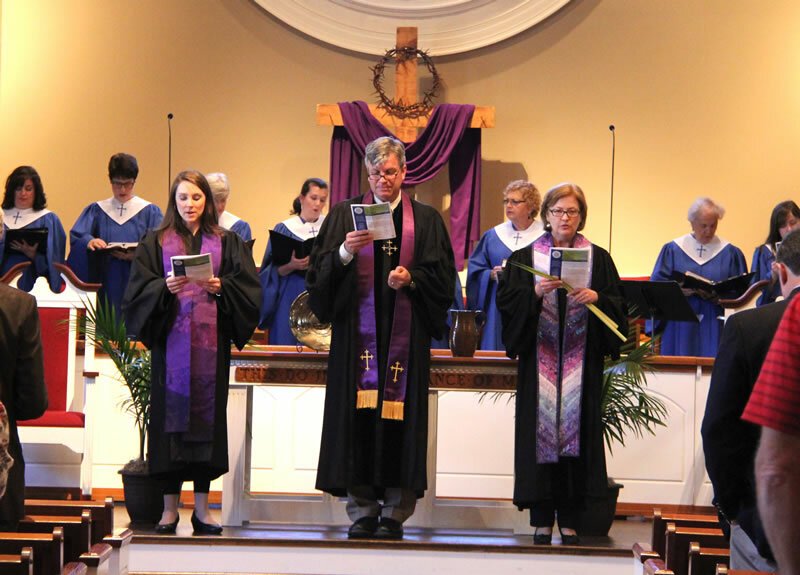 Our services are traditional, with congregational liturgy, a scripture-based sermon, hymns sung by the congregation, special music provided by choirs and instrumentalists, and a children’s message. Holy Communion is served on the 1st Sunday of each month, and on other Holy Days throughout the year. 8:00-9:30 a.m.: Breakfast Buffet in Fellowship Hall ($3-5), prepared by volunteer Men’s Breakfast Crews. Our breakfasts are delicious—join us! 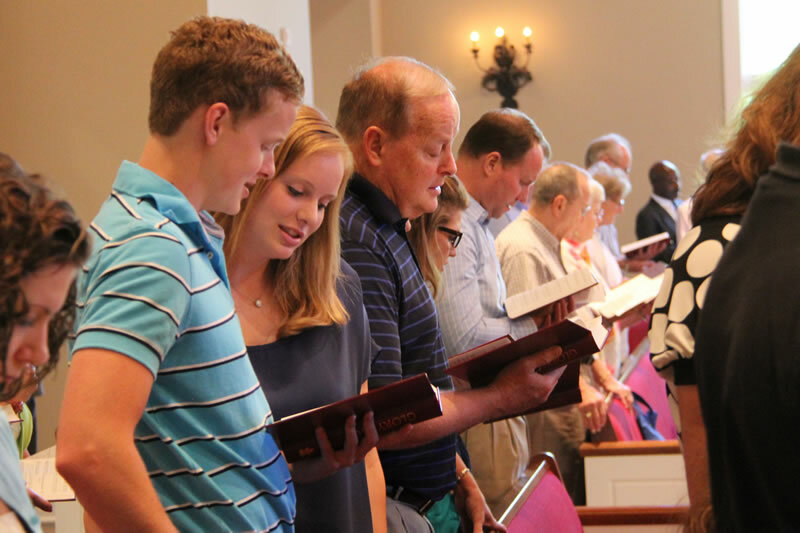 9:30-10:30 a.m.: Sunday School for Adults, Children (pre-K through 3rd grade), and Youth (middle and high school). Drop-ins are always welcome. Nursery: Our professionally-staffed nursery is available each Sunday from 9:15 a.m. to 12:15 p.m. Newborns through 24-month-olds are in our Infant Nursery. 2 and 3-year-olds enjoy a separate Toddler Nursery in our large divided space. 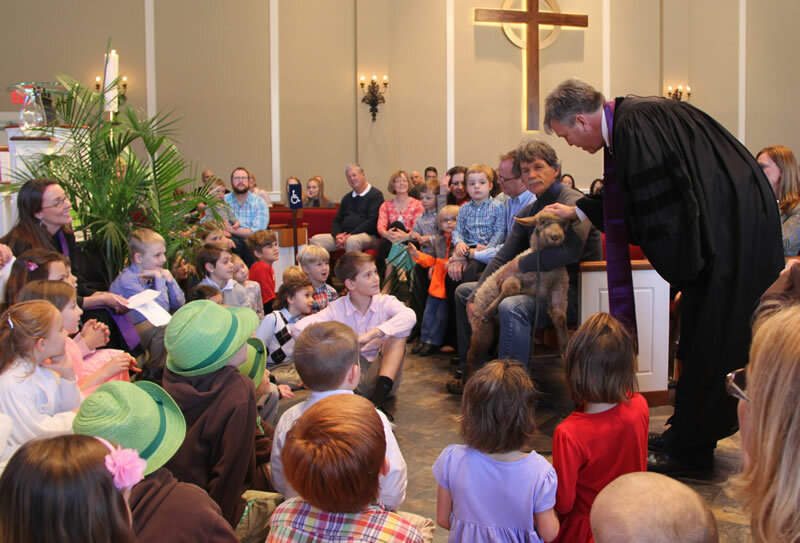 Children’s Message: Children are invited to come forward and sit on the chancel steps with our pastors for a brief Children’s Message during both worship services. 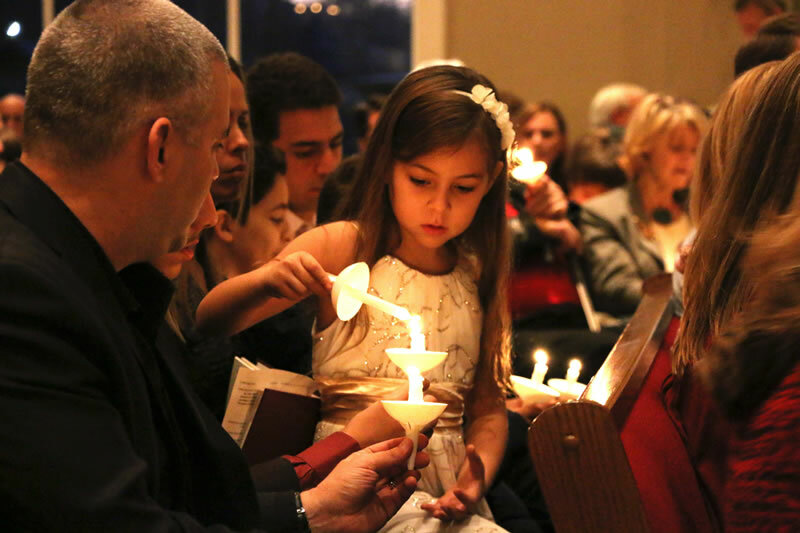 KinderWorship: During the 11 a.m. service, we offer KinderWorship for ages 4 through 1st grade. After the Children’s Message, kids who choose to participate are led by a staff member to the Children’s Library for a short lesson, craft or activity, and playtime outside, weather permitting. Parents pick up their children after the worship service. Parental sign-outs are required. Worship Activity Bags: Designed to keep little hands busy during worship services, our age-appropriate activity bags may be found in the lobby outside the sanctuary. You don’t have to be a member of the church or even a Presbyterian to participate in the sacrament of the Lord’s Supper (Holy Communion). There is no age requirement. Communion is served on the first Sunday of each month and on other days determined by the liturgical calendar. Most of the time, the elements (bread and grape juice) will be brought to you by church elders as you sit in your pew. We also offer a gluten-free alternative. Please notify the elder serving communion.